I was concerned that the scope of the story that was introduced in the last issue wouldn't have been able to be properly concluded by the end of this run… but I was wrong. It was actually pretty deftly handled by the new writing team of Collin Kelly and Jackson Lanzing. One major issue I had with this issue was the art, however. I was confused at multiple points. I understand that they were going for some kind of trippy art where you don't really know which way is up, but moments that were clearly meant to be significant in terms of action just confused me. Most of the time these moments are built up and then released with a splash page, but the lack of proper progression between the sequentials and the splash pages genuinely confused me. The art got better when the story slowed down near the end of the issue and things were more clear. The scenes had room to breathe and I appreciated what was going on because of it. One of the best compliments I can give this issue is that it took the disaster that is HEROES IN CRISIS and tied into it in a way that felt emotionally satisfying and actually kind of sad. 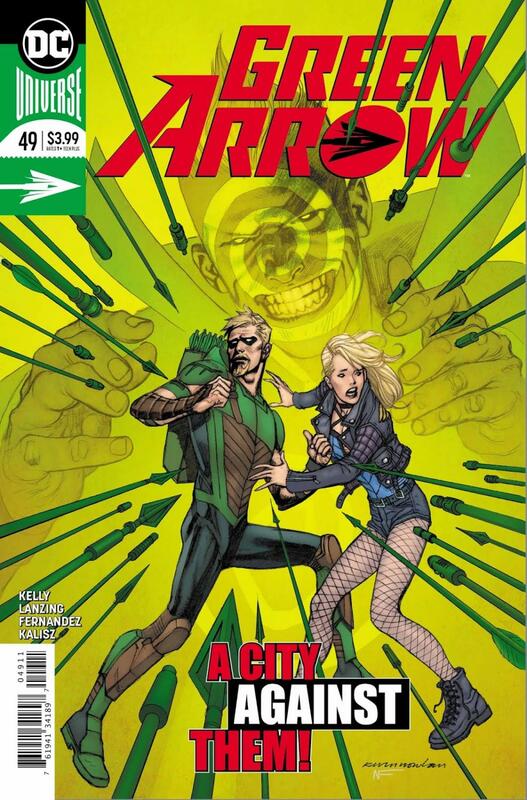 Obviously this involves Roy since this book is about Green Arrow, and the whole encounter between Ollie and Count Vertigo in this issue is one of the best moments of this entire series, if not the absolute best moment. The storytelling here was simple but the bait and switch from this high-octane action-based issue to a more quiet and emotional one was something I deeply appreciated.